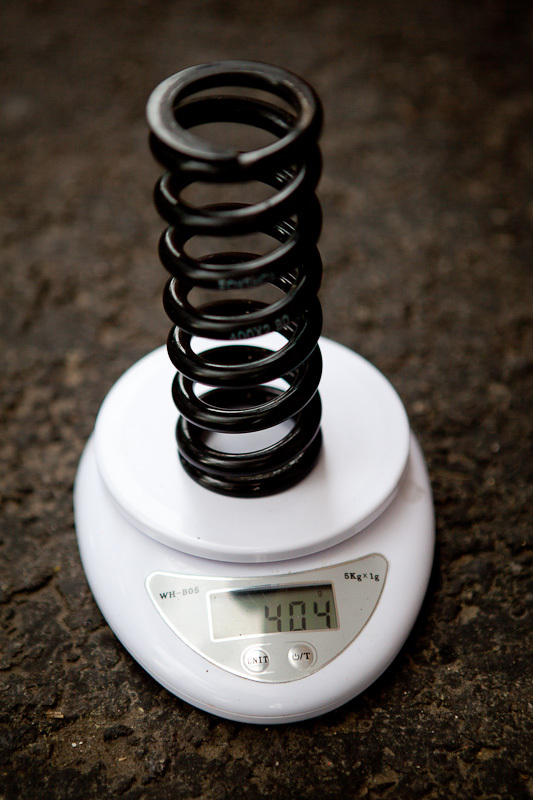 As for weight savings, stock Fox 2.8"x400lbs spring weighs 404g. 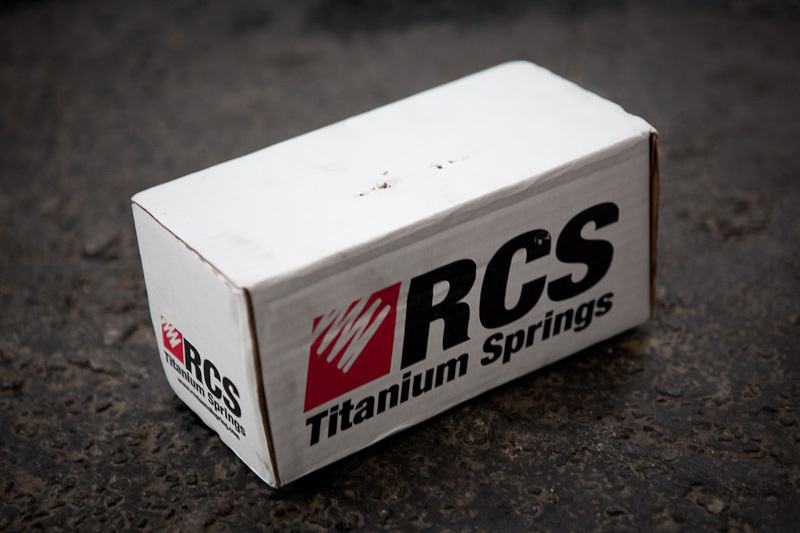 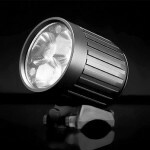 The 2.8"x400lbs RCS Titanium spring weighs 294g, resulting in a 110g (27%) saving. 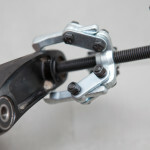 RCS Titanium spring is also little bit longer (maybe 3mm), but there is plenty of available space on a Fox RC4 shock. 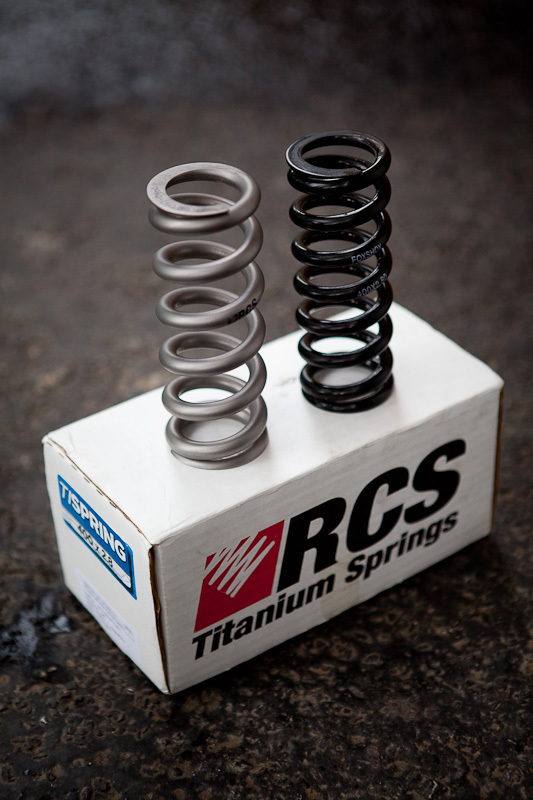 Spring lengths can be little bit confusing, though. 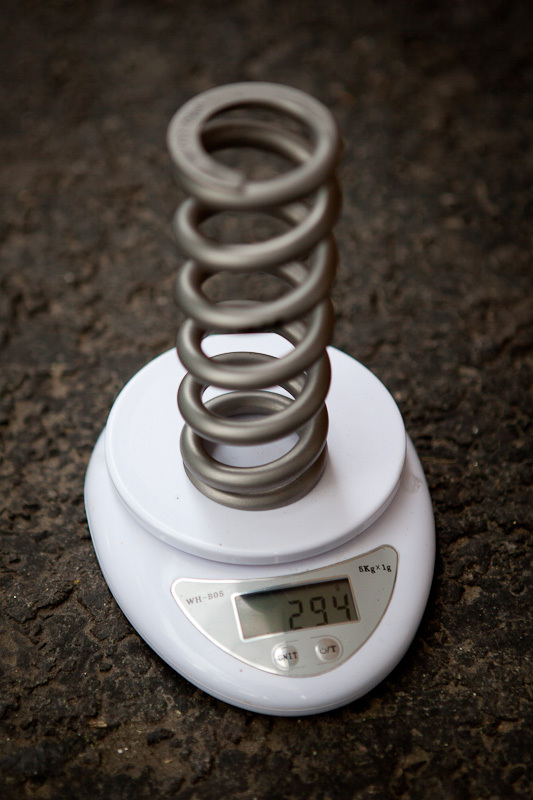 Some manufacturers claim the length of a spring in the shock stroke length (2.5" spring for a 8.5"x2.5" shock). 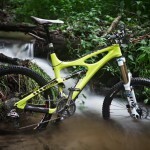 Others (like Fox) claim the free length of a spring (all the way it goes before it's completely compressed). 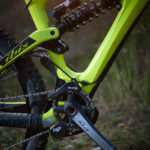 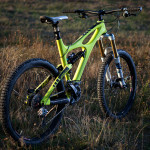 So even when Ibis Mojo HD uses a 8.5"x2.5" Fox shock, you need a 2.8" long spring.